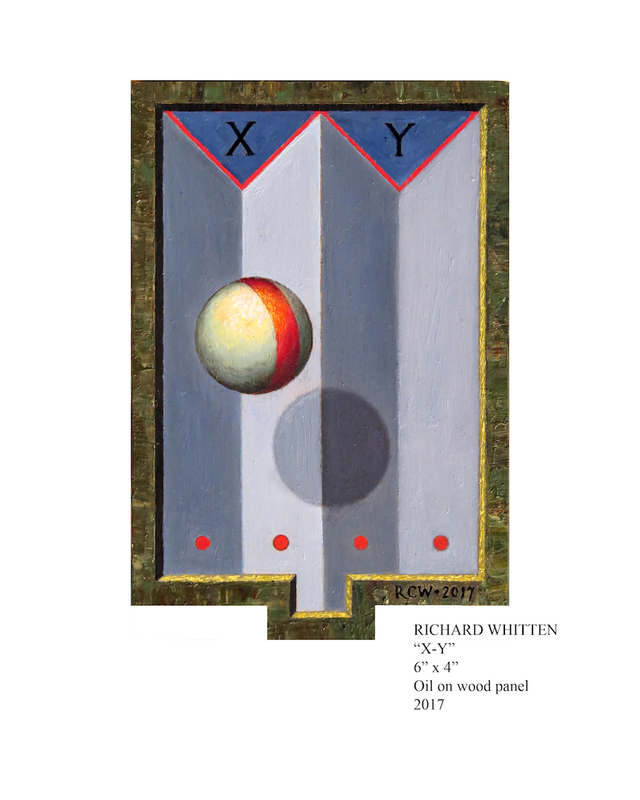 Richard Whitten Eventide, 2017 oil on wood panel, 8" x 6"
Richard Whitten’s paintings imply the existence of places and objects of desire that, like the garden and flowers in Alice in Wonderland, can be glimpsed but neither reached nor acquired. A recurring theme in his dreams is the discover of beautiful hidden architectural spaces. 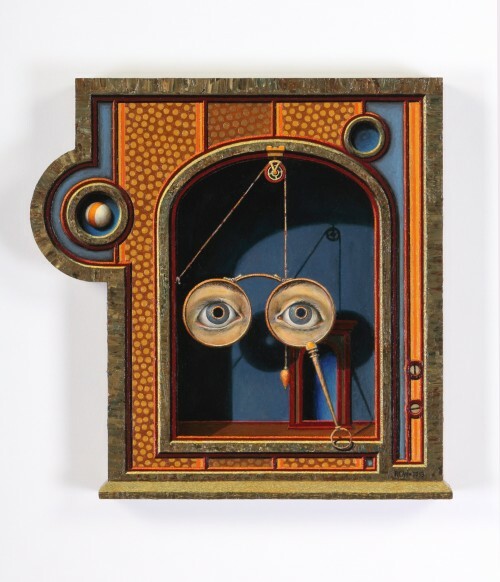 He is drawn to antique toys, mechanical devices and scientific instruments – particularly those that involve repetitive motion. He hopes to give the viewer a physical sense of the transition between their world and the world of his paintings. 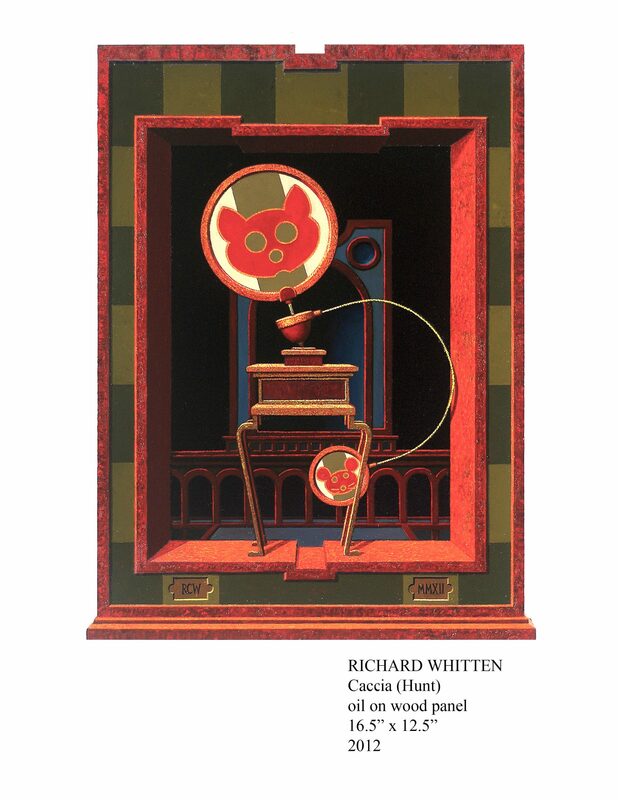 Richard Whitten received his MFA in Painting from the University of California Davis. 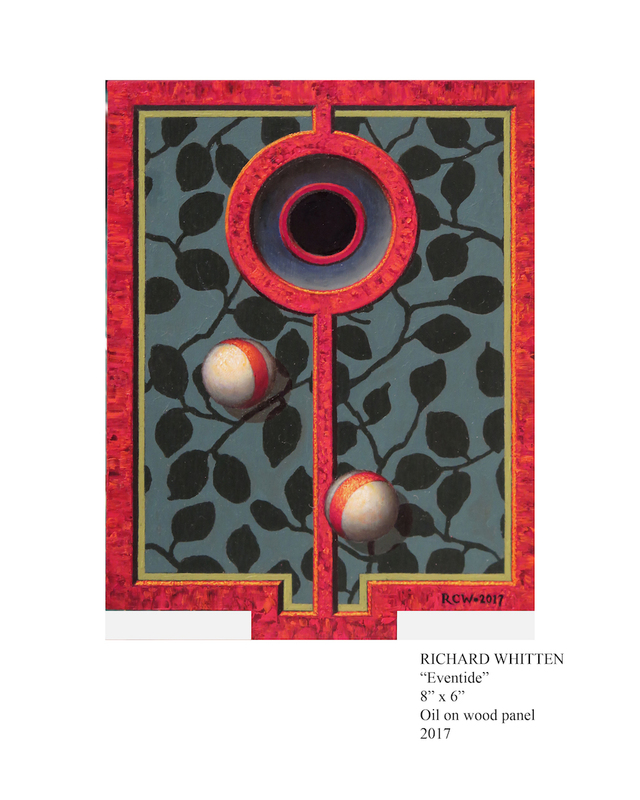 He has had notable solo exhibitions at the Frye Art Museum in Seattle, Washington, the University of Maine Museum of Art and he is currently a professor of Painting and the Department Chairperson at Rhode Island College.